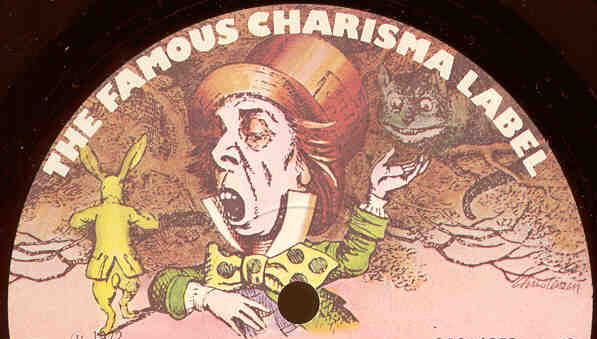 Charisma Records was a British record company which existed from 1969-86, and here you will find detailed discographies and other information about the company and its artists. I enjoy hearing from people who want to "talk Charisma" and will be happy to try to answer questions. CHARISMA AND B&C ARTISTS: I WANT TO HEAR FROM YOU! If you recorded for Charisma or B&C, even if it was just one single or unreleased sessions, I would like to hear your story! I'd love to hear your reminiscences and am also interested in your "post-Charisma" life. I would also like to hear from anyone who worked for or was otherwise associated with either company in any capacity! This page now has links to artist information, and as time permits I will add more. I will include links to any artist websites that I know about. If you have information about an obscure Charisma or B&C artist, please share it with me! I will credit you on the Acknowledgements page. People are always asking me where to find rare items. Here are some suggestions! If you use these links and buy something, I will earn a small commission which will go toward the cost of maintaining this site. Of course, you are still more than welcome to write to me with questions about rare records! For rare items, there is no better place to look than GEMM, where you can search the catalogs of music sellers from all over the world. If you have any comments, reactions, questions, or additional information, click here to send me e-mail! In recent years I have been extremely busy with my career and have not always been as responsive as I'd like to be, but I do try to answer all emails. If you've written to me and not heard back, please try again! DISCLAIMER: I am not a record company or A&R man. I am a music historian and record collector and have no connection to Charisma, Virgin, EMI, or any related entities. This website is a tribute to a record company that released its final records in 1986, so don't ask me where to send your demo tape unless you just feel like sending me some free music! Copyright © 2013 - 2018 Mark J. Moerman. This information may not be reposted without permission and proper acknowledgement.